"Breath" is the final edition of Le Coq Sportif and Future Classic's series of Australian covers of classic French artists. 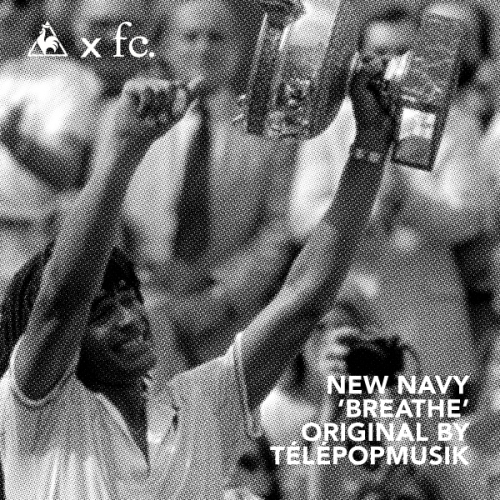 The fourth instalment is from Sydney band New Navy 's cover of Télépopmusik's "Breathe". Télépopmusik are a French trio that established a new sound in French electronic music in the early 2000's with their peers and compatriots Air, Le Rythmes Digitales and Dimitri From Paris. 'Breathe' featured the guest vocals of singer Angela McCluskey on the group's debut album Genetic World and went on to break into the US and UK charts and be nominated for a Grammy Award in 'Best Dance Recording'.